When you have a system that’s fully integrated, you’re able to manage and oversee all areas of your venue at a glance. 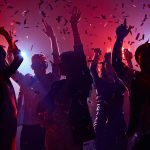 The nightlife industry has evolved from inefficient pen-and-paper practices to digital solutions that can manage, track, and streamline your business. While these solutions may seem complex and overwhelming, they’re actually quite simple when it’s a fully integrated platform that’s connected into your daily operations. 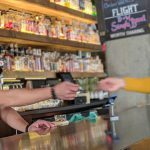 When you have a system that’s fully integrated, you’re able to manage and oversee all areas of your venue from one central spot, including guest list management, VIP reservation management, client relationship management, point of sale, ticketing, marketing solutions and, most importantly, analytics. Using this type of technology gives you better insight, increases efficiency and revenue, and ultimately leads to a better customer experience. Here are 5 ways an integrated technology platform will help you run a better venue. Every event or venue, regardless of size, benefits from the pre-sale of tickets and inventory. Having pre-sale tickets incorporated into the rest of your efforts gives you that full 360-degree look at how your event as a whole is performing. 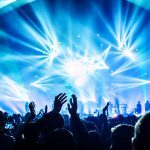 With this type of solution, you’re able to create and manage an online event page, publish the page for consumers to purchase tickets, have the page integrate with a mobile app for promoters to sell tickets directly from their devices, and track ticket sales and results along the way. What’s more is using an integrated ticketing widget allows you to use the e-commerce ticket sales system directly on your website so your visitors never have to be redirected somewhere else to make that purchase.This type of platform syncs all promoters and marketing efforts together to maximize ticket sales and revenue.